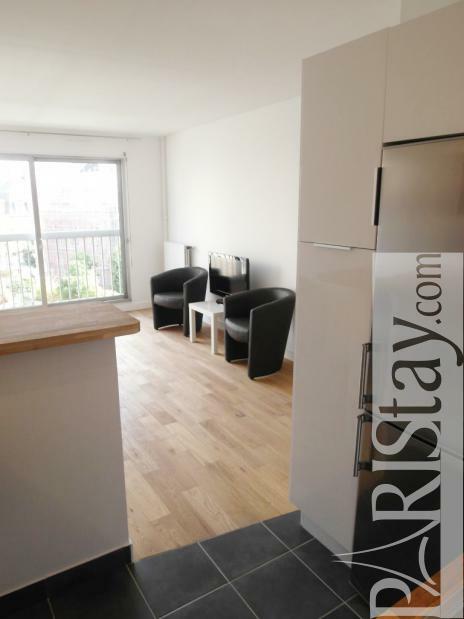 Brand new, renovated and quiet Paris studio apartment conveniently located in a lively and interesting neighborhood in the heart of the 15th arrondissement. 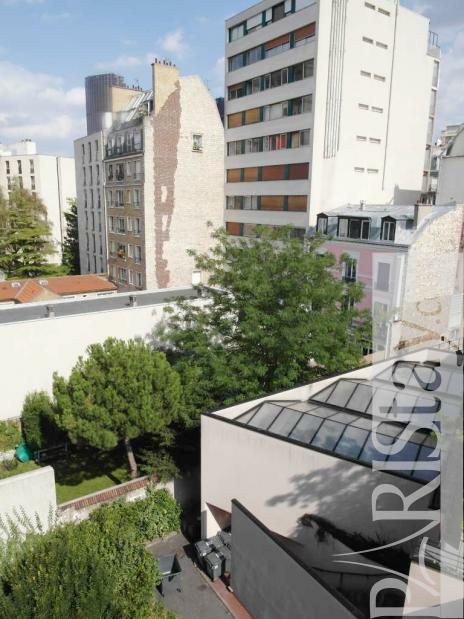 This 6th floor apartment with lift is situated in a modern and safe building, within walking distance to the lively Montparnasse area with its many stores and markets. 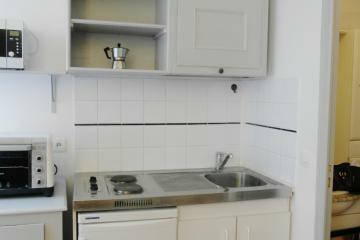 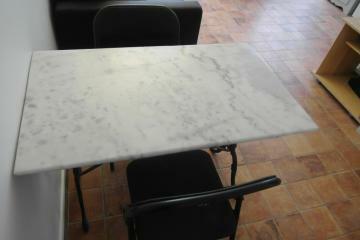 The flat itself is comfortable and very well equipped. 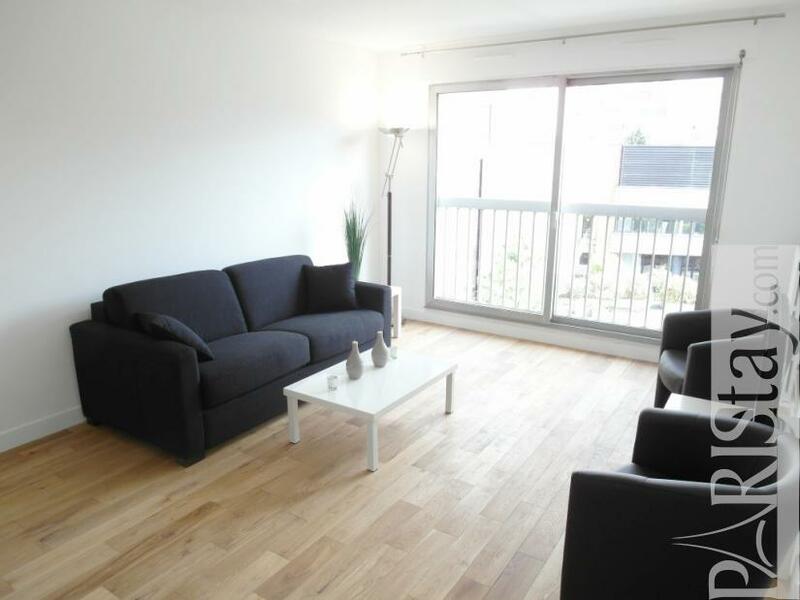 Spacious living room area with large window and comfortable sofa bed, modern kitchen area with all the utensils and appliances (including oven and microwave), separated shower room with washing machine & toilet. 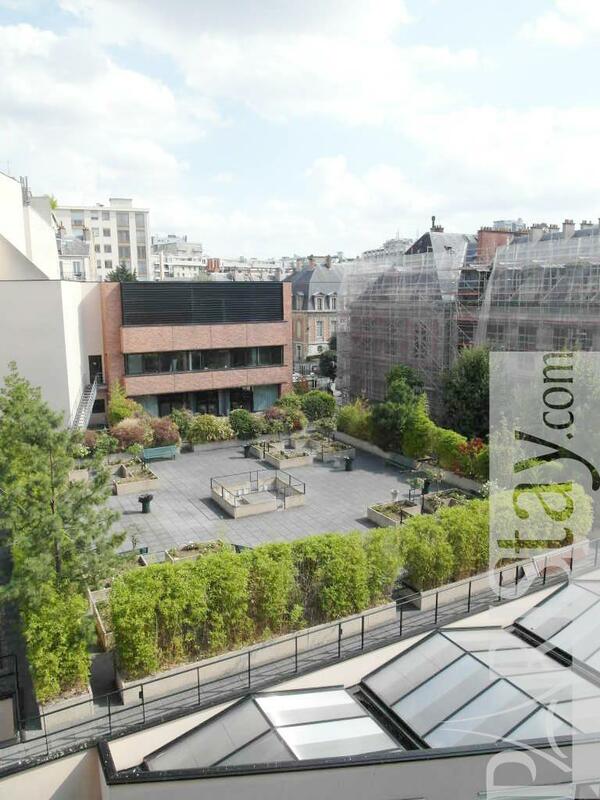 Nice green courtyard and beautiful view. 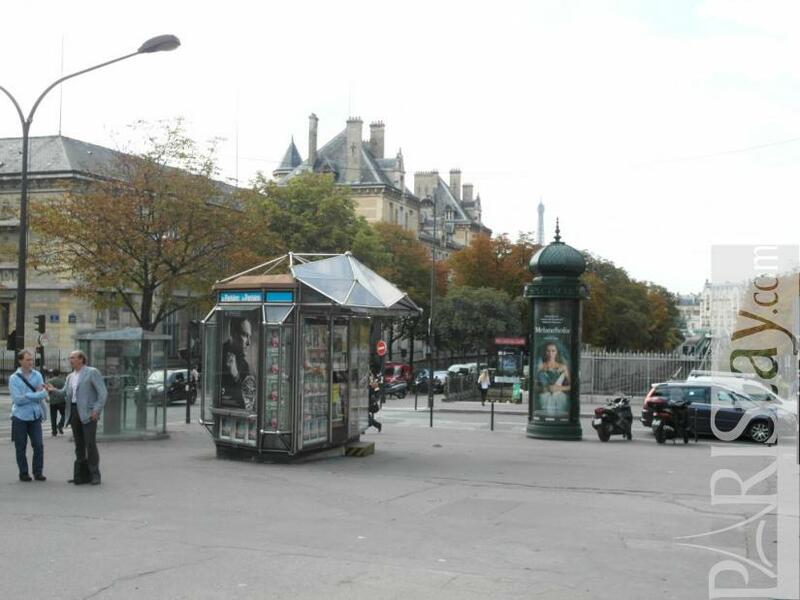 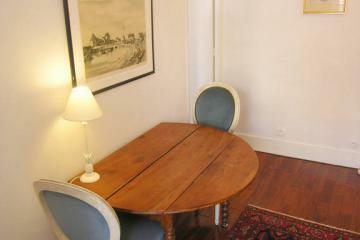 Perfect location for Paris long term rentals in a non-touristy area. 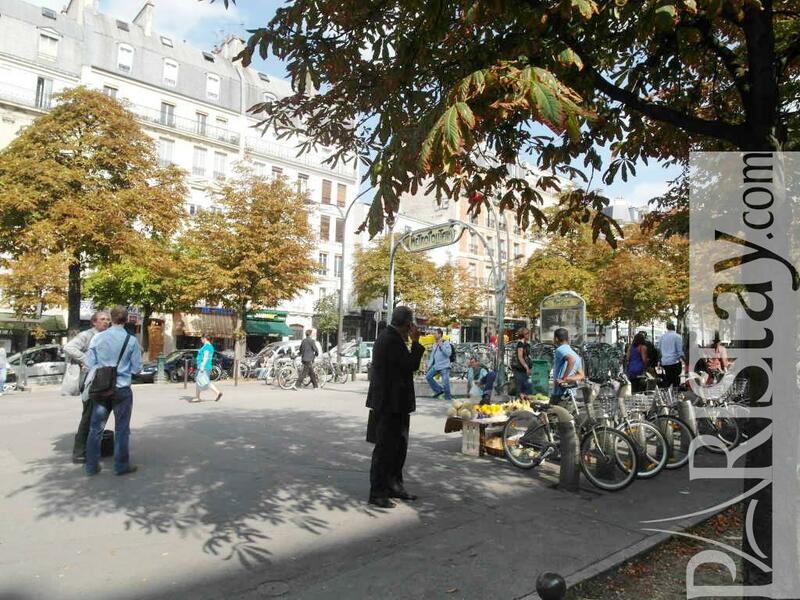 A 'VELIB' bike rental station is right across the street. 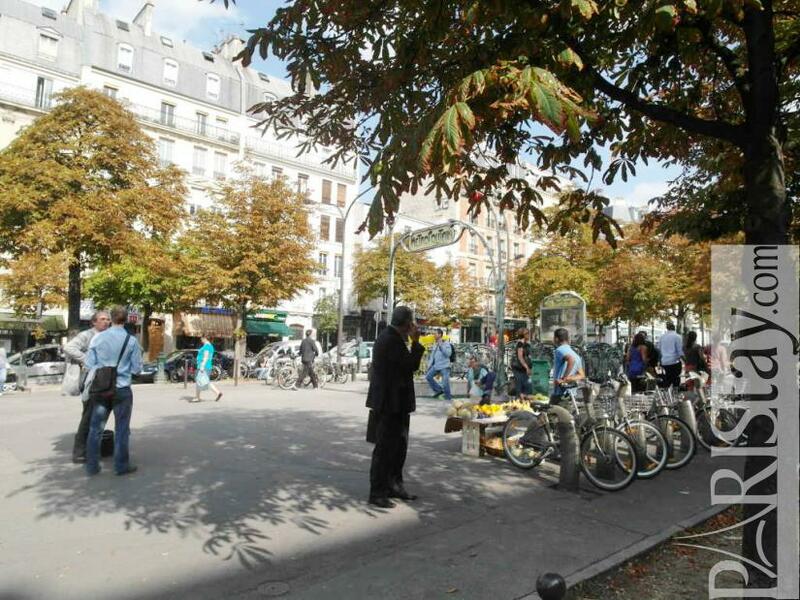 In this city system, you can pick up a bike at any station and turn it in at another. 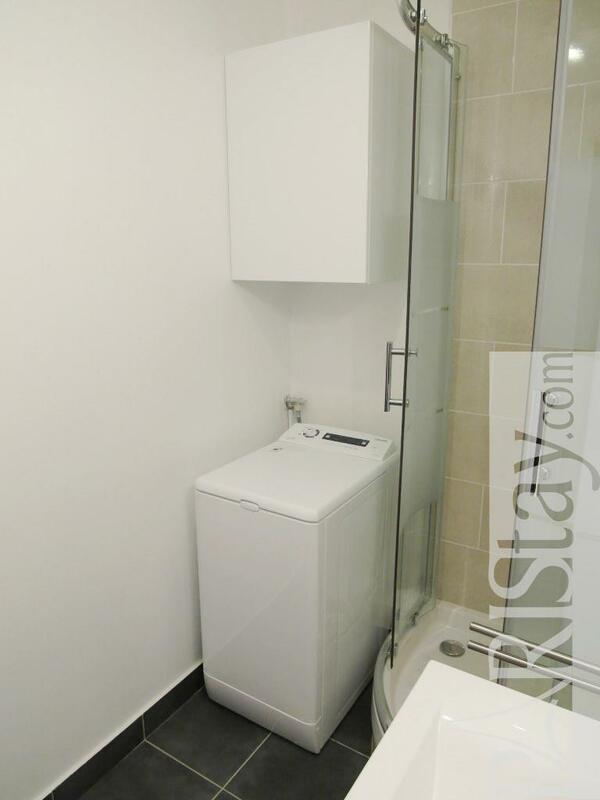 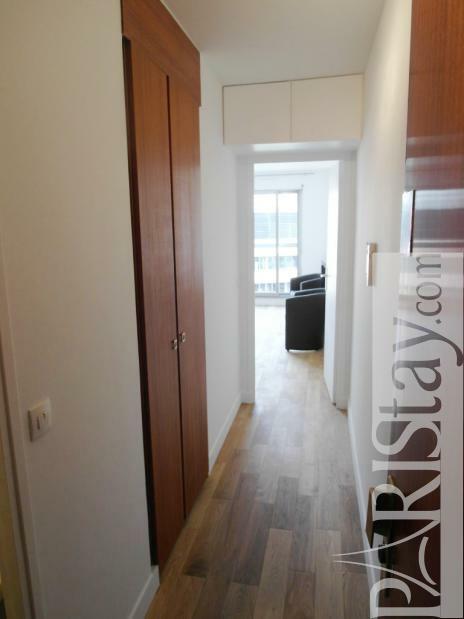 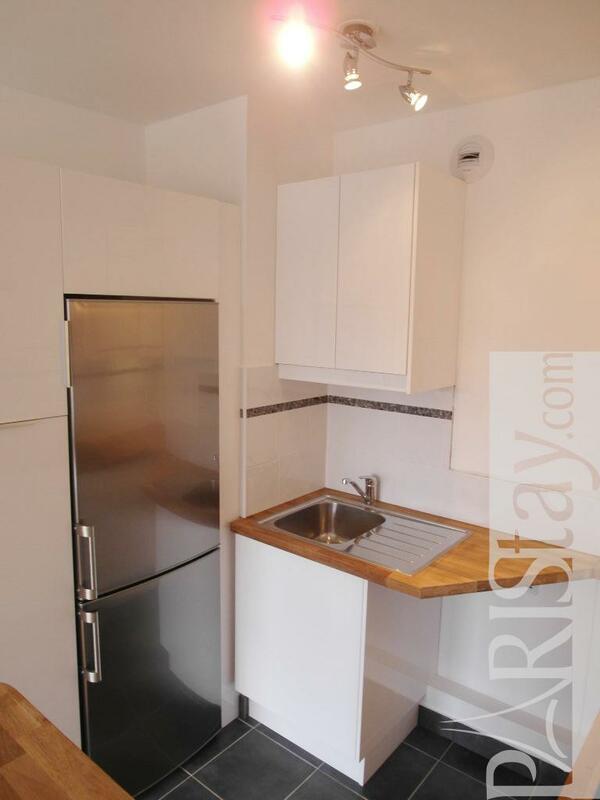 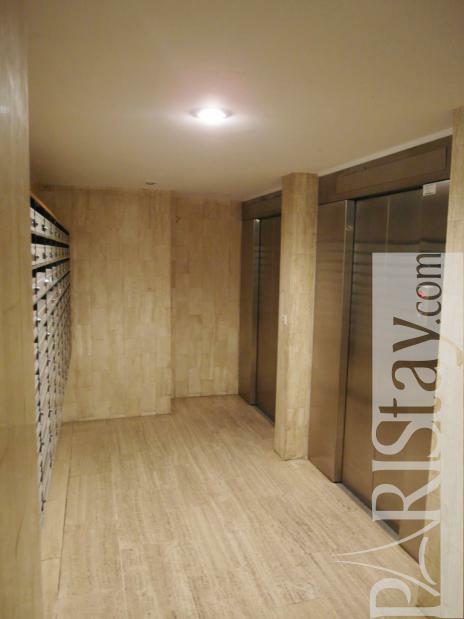 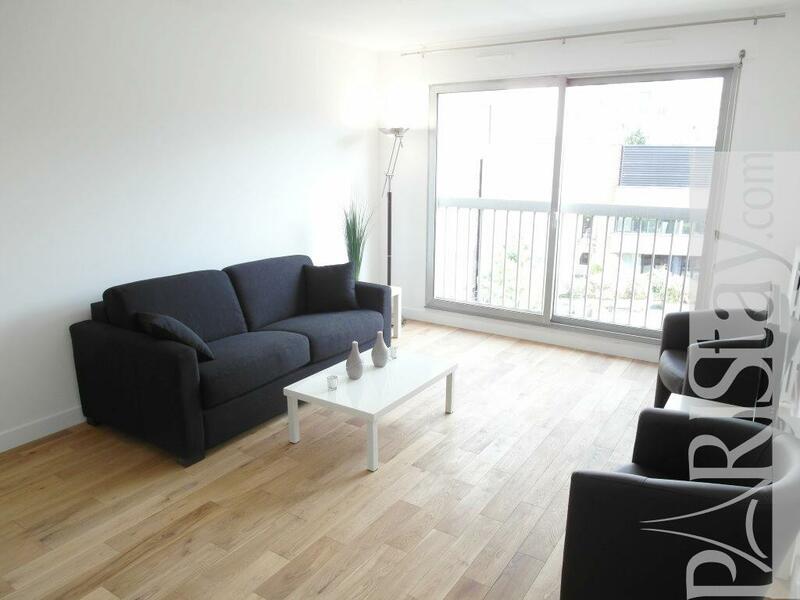 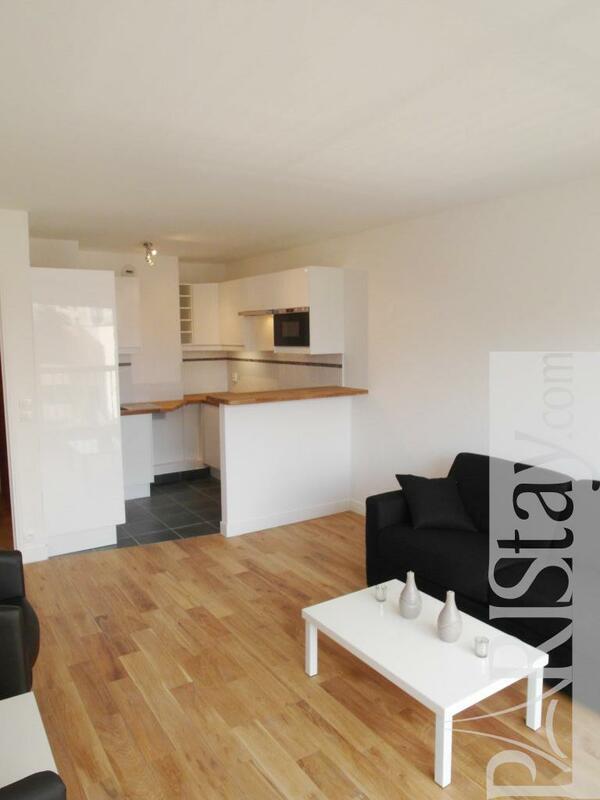 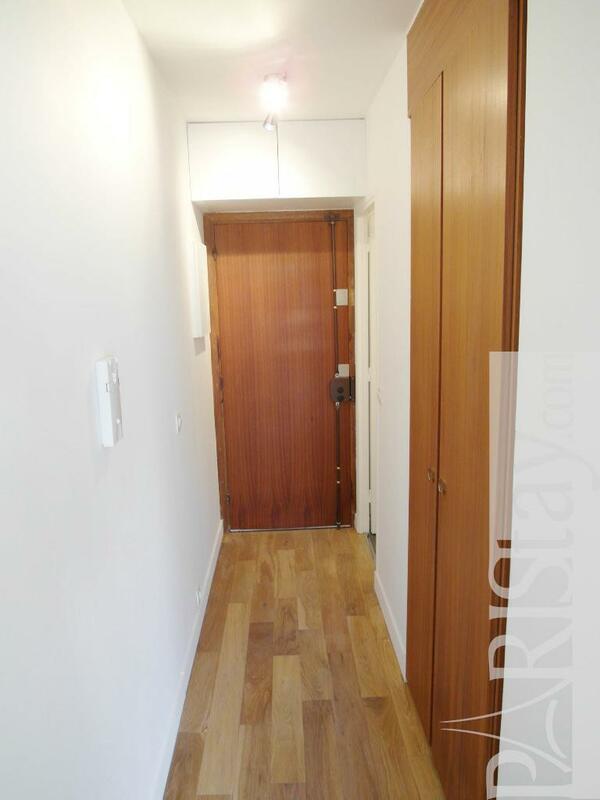 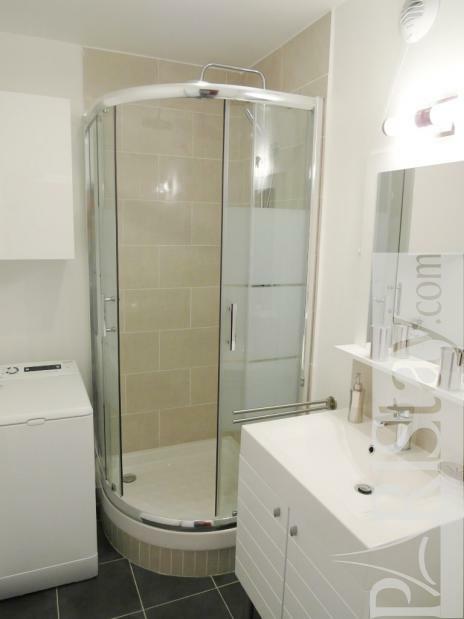 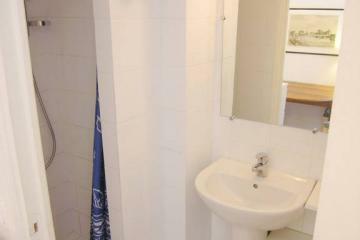 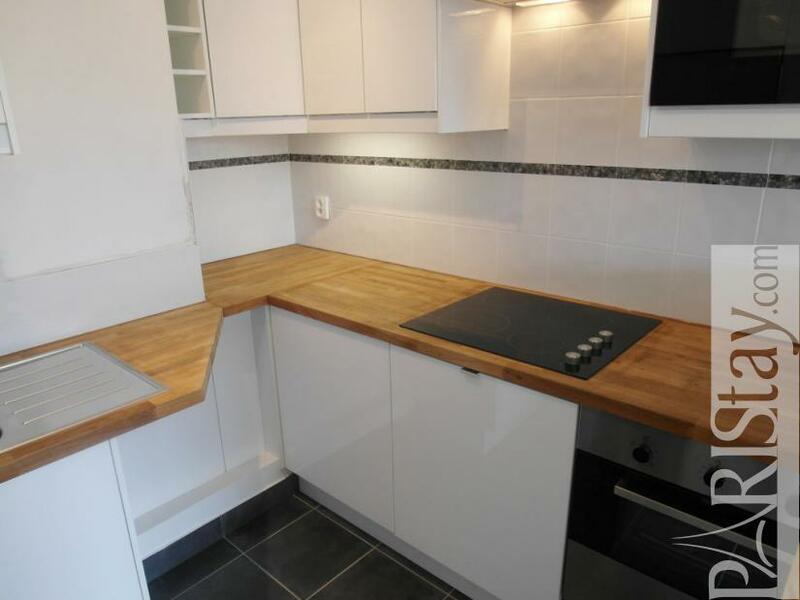 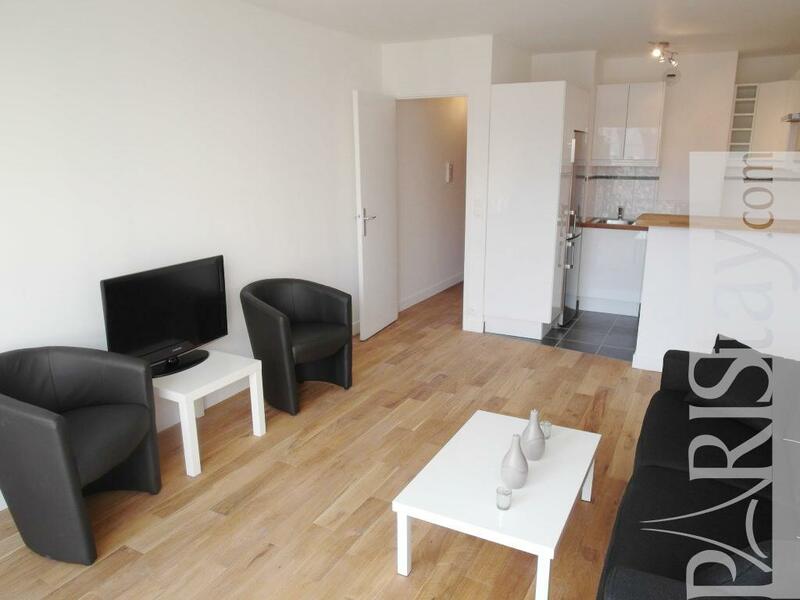 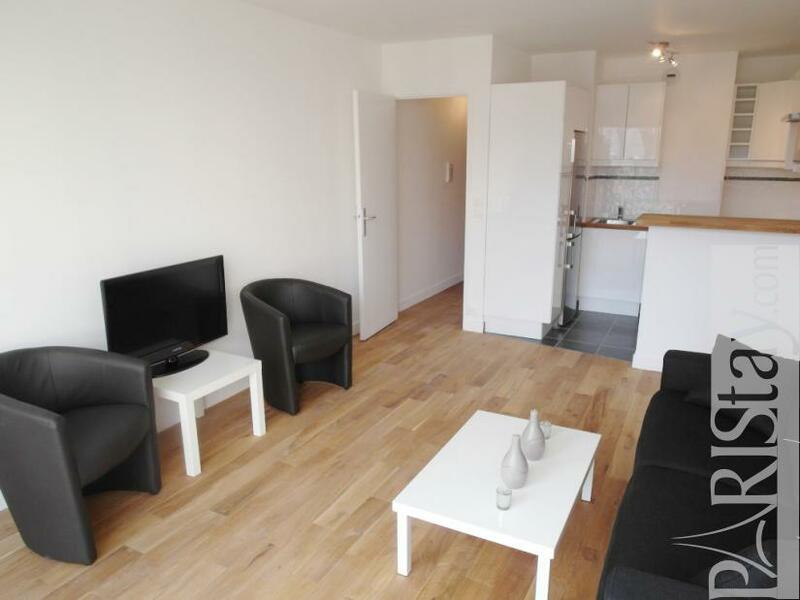 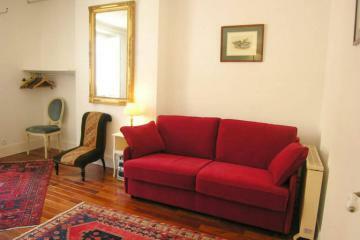 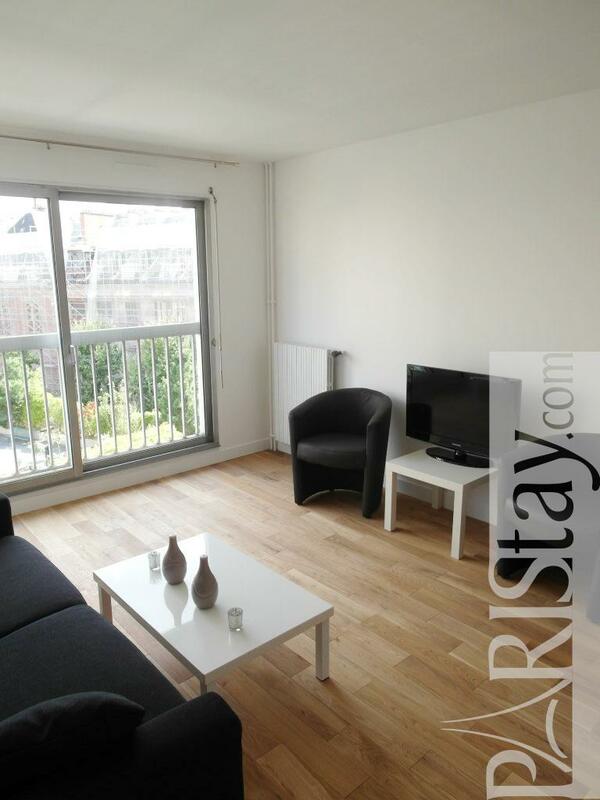 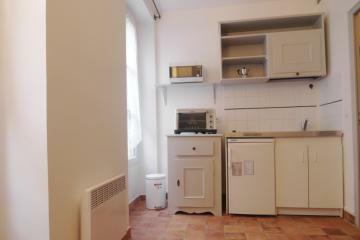 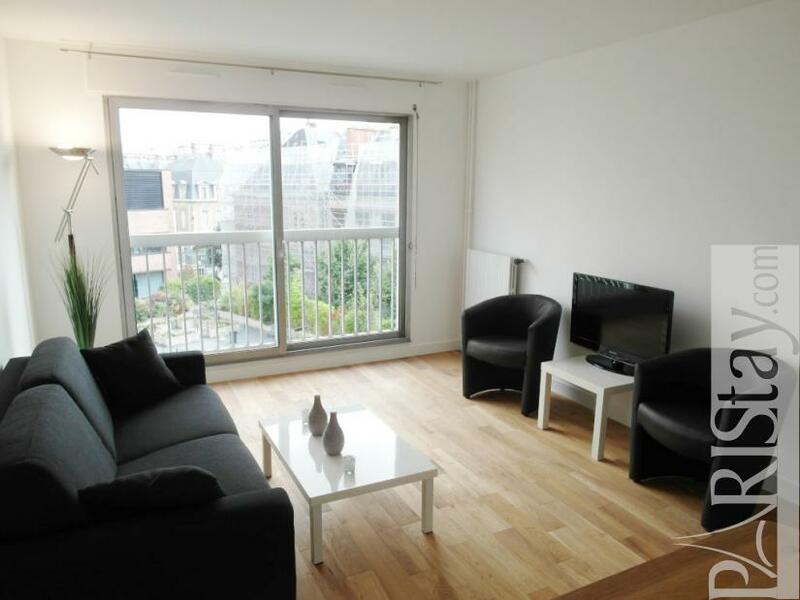 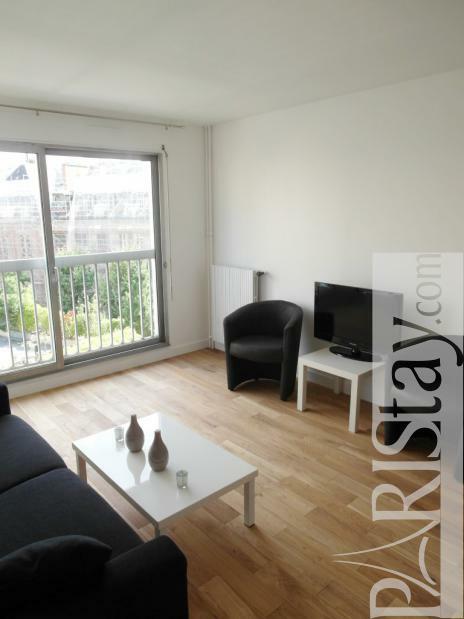 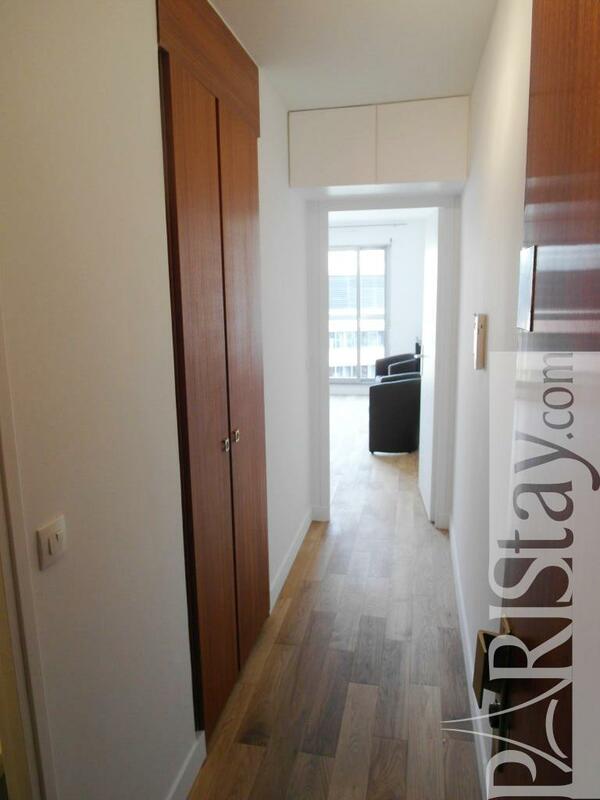 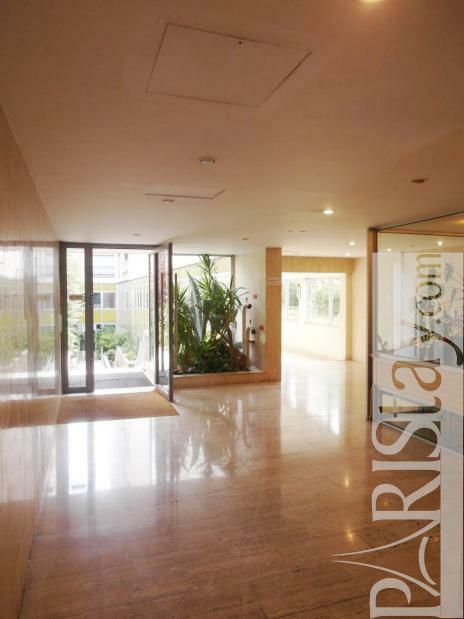 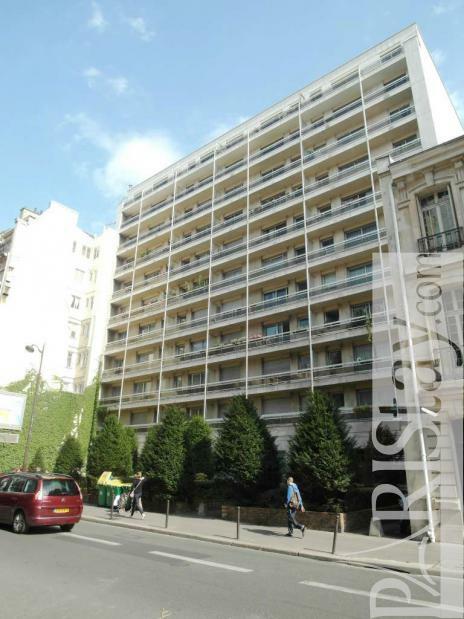 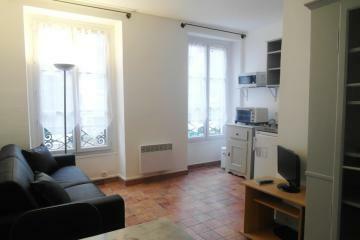 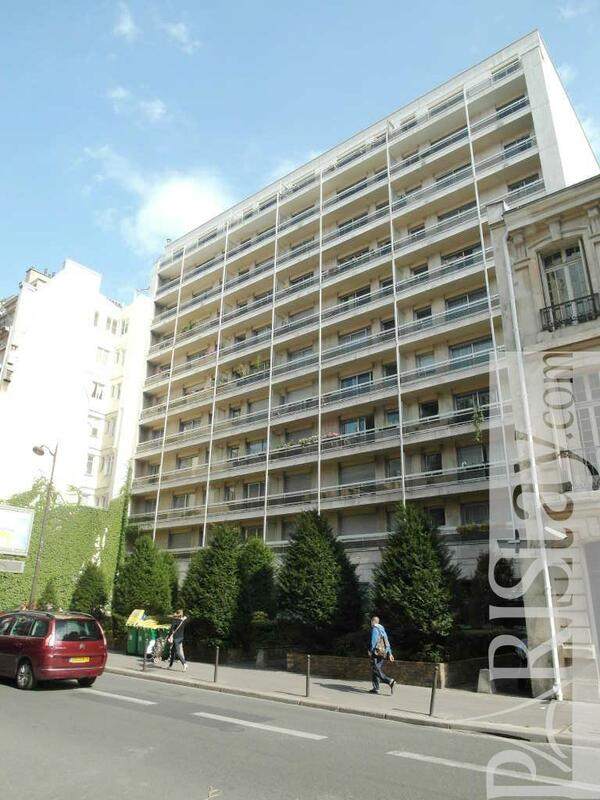 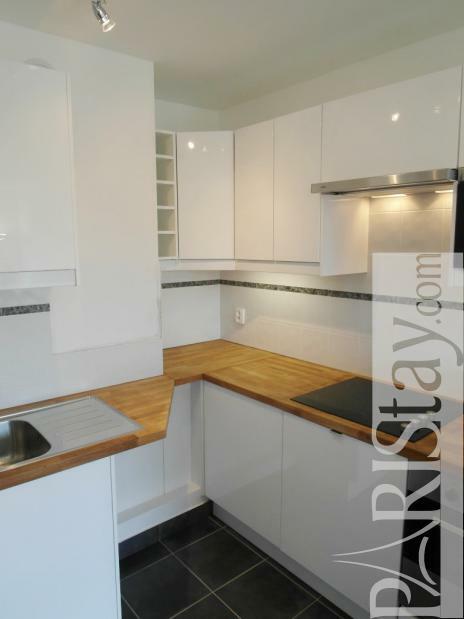 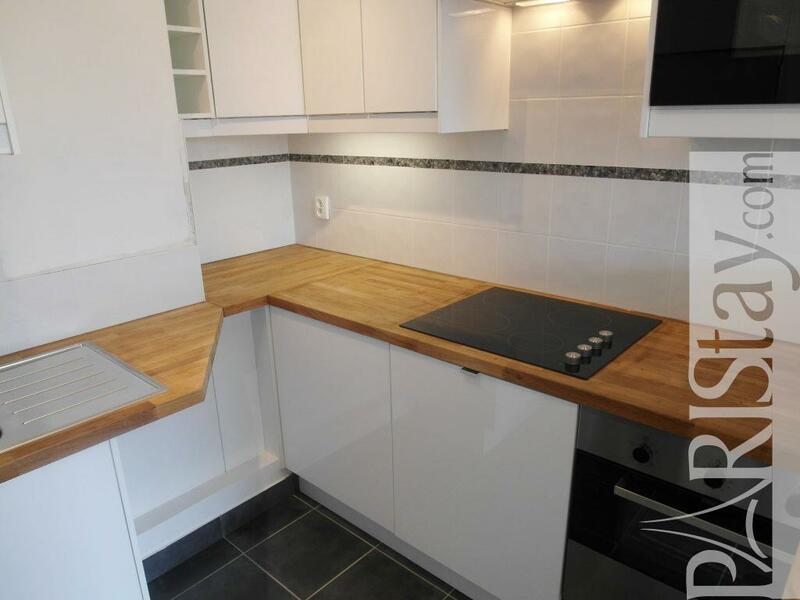 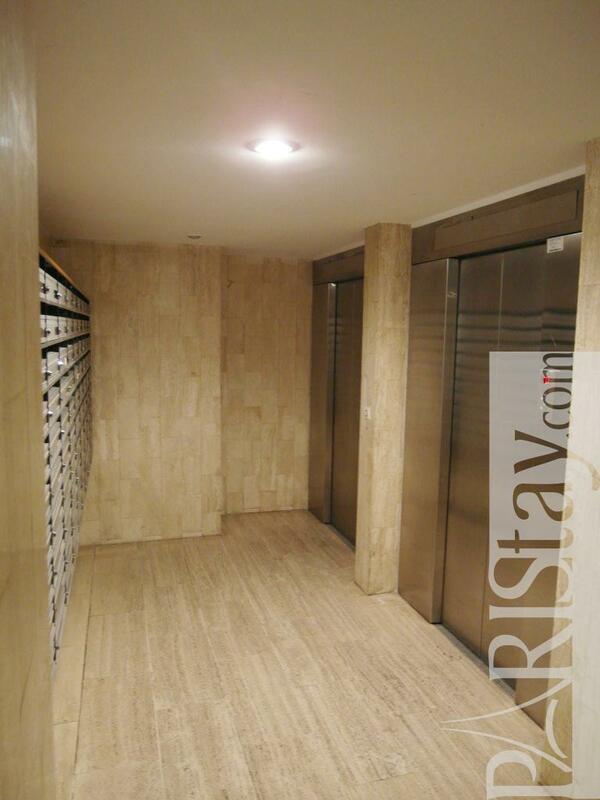 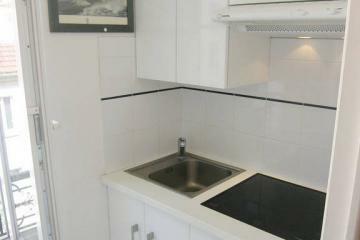 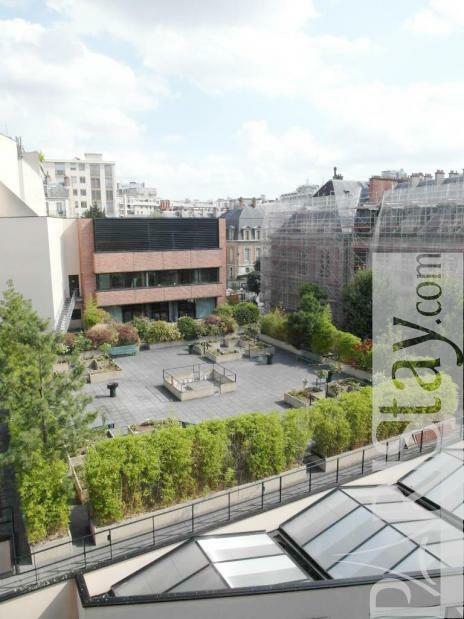 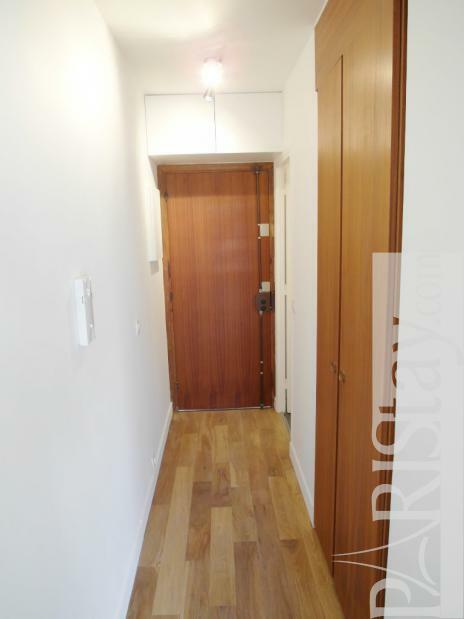 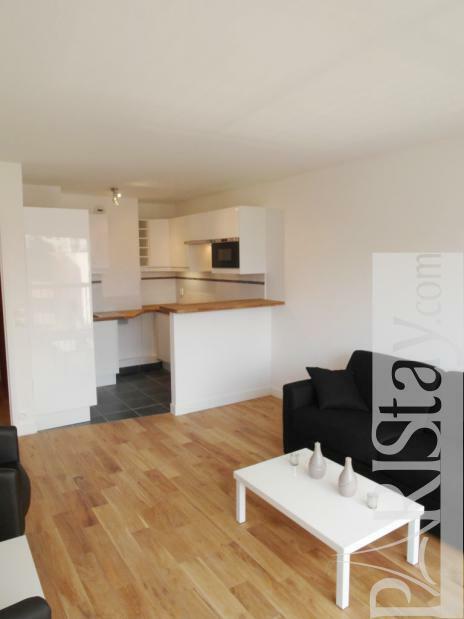 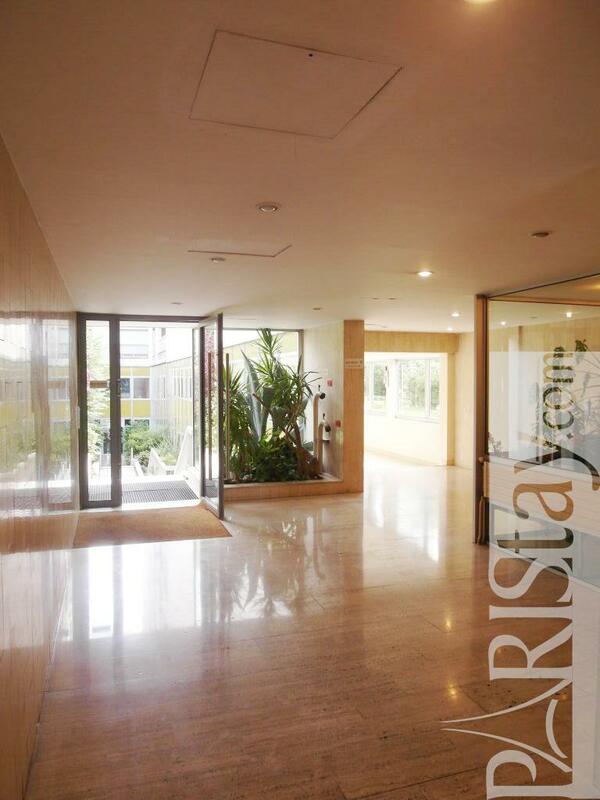 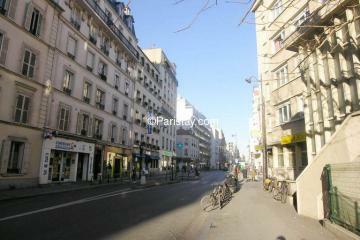 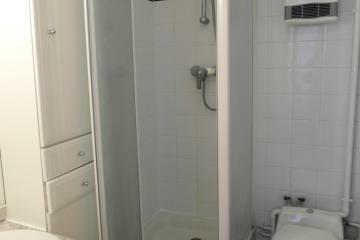 6 rd floor, with Lift, Studio Appartement, furnished, Approx: 29m² / 312 Sq.Ft. 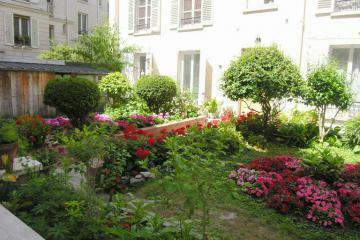 Courtyard + Garden,Superintendent,High security lock on front door.